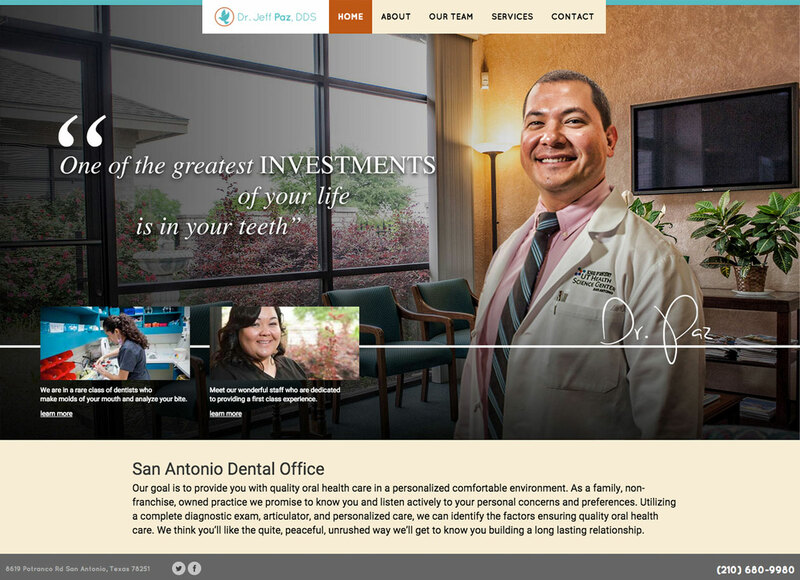 Jeff Paz opened his dental office off of Potranco Rd in San Antonio, TX. The problem was that he had no logo or website to let everyone know that he was for real. We talked about his vision and came up with a strong identity for his new office.